On a recent morning, Sami, my four-year-old-son, and I sat down for breakfast, as we do most mornings. Sami asked for cereal and I asked him to prepare the French press. We didn’t talk about the flowers on the kitchen table or the book we read before going to bed. We talked about the terrorist attacks at two mosques in New Zealand, where 51 worshippers were killed, including children who were younger and older than Sami. My son is only four, but I felt compelled to speak to him, attempt an American Muslim version of “the talk” that countless black and brown parents have with their children. I am a historian of the modern Middle East at Skidmore College; Azin works as an immigration attorney at the nonprofit, The Legal Project. We live in an upper middle-class town, which, although largely white, also has a decent amount of international and religious diversity. We have Muslim, Jewish, Christian, Hindu, agnostic, and atheist neighbors and friends. Sami goes to a Jewish preschool. Far more often than not, Sami comes downstairs demanding, “Turn that off! I don’t want to hear his voice!” My four-year-old son is referring to President Trump’s voice. “I’m scared,” Sami replied.Sami’s fears are rooted in hearing Azin and me talk about her work as an immigration attorney, President Trump’s policy of family separation, and his unabashed “othering” of Islam and Muslims. Defending his Muslim travel ban, Mr. Trump stated, “I think Islam hates us.” Like other Muslim Americans, we often ask ourselves who the “us” is in this sentence. “Sami…” I said, not knowing exactly how I would continue. I struggled to string together the ‘right’ words to describe the massacre. We don’t go to the mosque that often as we are not very religious, but we take Sami because we want him to have a connection with the Muslim community. We want him to identify with our community, a community that is diverse in race, beliefs, socio-economic status, lifestyle, and so much more; it is also a community that collectively feels a visceral sense of fear when hearing Mr. Trump’s voice. “But why baba? Why did he want to harm as many people as possible?” Sami countered. He immediately followed with a question: “Are the people in the mosque okay?” Silence descended on the table. I wasn’t sure how to answer. As I hesitated, the sun radiated off Sami’s beautiful brown hair. 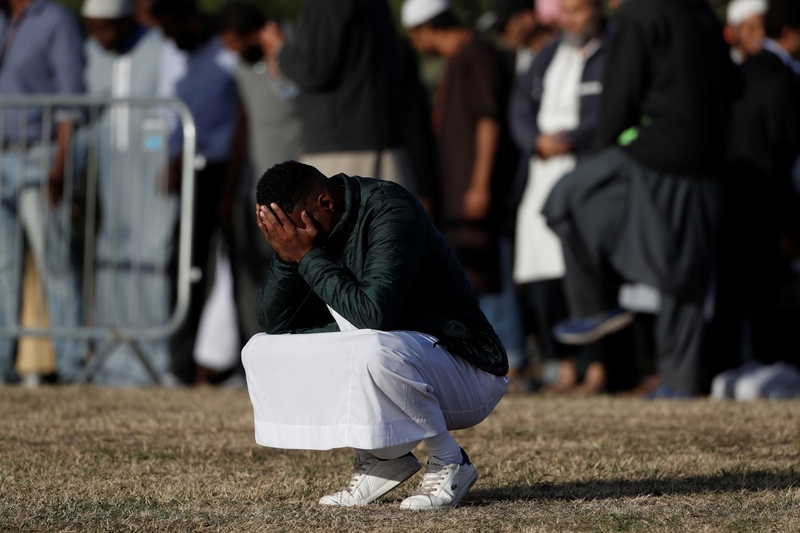 I thought about Sami and the children in the two mosques, like three-year-old Mucaad Ibrahim, who were killed by the white supremacist shooter. I teared up. Sami has his own fears; he is only four years old, and he is already afraid of Mr. Trump’s voice. But Sami is not afraid because he’s a child or naïve. No, his fears are warranted. I’m afraid too. But I don’t want to hide. We don’t have the luxury to hide.